The currency of Italy is the Euro. Cards were widely accepted, but a little cash was nice to have on hand. The language of Italy is Italian, of course! If you've taken Spanish, Italian is honestly not too hard to pick up. Tom was supposed to learn French (which didn't go over so well) and I was our Italian communicator (since I've taken Spanish). We had no issues in Italy, and many locals know English, anyways, but basic phrases were great to know. Sidewalks are old and small. Not a bad thing, just something to note in the old cities. They don't always (or usually) provide shower soaps. Especially conditioner. Bring your own! You are taxed per person and must pay exact amount in cash. You also, by law, must meet your host and show your passport. Public restrooms may not always have toilet seats. Relatively easy to pick up on traffic laws and signs. Small cars! But that's just Europe. Vespas and motorcycles follow no rules. They ride up onto the sidewalks and just generally drive wherever the heck they want, so be watchful! Rules of the road are more like guidelines. Ignore the dogs. Europeans do not give dogs pets and attention in public (which is why their dogs are all well behaved). Do your best to speak Italian, but you'll come across plenty of English speakers. Even if you don't know Italian and they don't know English, most of the time they will do their best to communicate with you in one way or another. Don't be afraid to joke with them! We read that Italians don't do sarcasm, but they were OFTEN sarcastic with us and would tease us constantly! We loved it. Typically, you pay at the counter. You pay for water and are always given the option of flat or sparkling. It's an American thing to order soda with your meals - stick with water, wine, or coffee (at the end). Some will say that it's rude to share meals, so we never did. However, anywhere we went, I never felt pressured to finish ALL my food, and often Tom and I would eat off each other's plates. No one seemed to care! I did usually let them know I was pregnant so my meats needed to be fully cooked, etc.. so maybe that was part of it? Doggy bags are not a thing! Florence: Airbnb - we adoredddd this one! Very walkable to all of Florence, affordable, very clean, beautiful view, and extremely comfortable. Huge bathroom, too! Couldn't recommend this one enough. Riomaggiore: Airbnb - not great. There are limited options for accommodations in Cinque Terre, so it was fine overnight, but there was black mold all over the shower. We were not impressed. Castiglione Tinella: Airbnb - we splurged a little on this one and it was 100% worth it. This was incredible. The view alone was worth the price, but the place itself was clean, comfortable, and stunning. Not to mention the caretaker who met us there - he was was such a delight and super funny and helpful! The nearby towns are quaint, and because you're in the countryside, you'll meet a lot more locals and non-English speakers but we adored the people out here and in Asti. This is an area we would visit again, without a doubt. Best wine region in Italy in our opinion! Pisa: Airbnb - cosy is an understatement. The host here was like your mother (the sweet, hospitable kind). She was super caring and knew we were flying out in the morning, so she scheduled a cab for us since we didn't speak fluent Italian. Also, we were so surprised at how charming Pisa was! We only stayed overnight because of a flight, but we loved it and wished we'd have stayed longer. The Airbnb itself was seriously like a bed and breakfast. After coming back from the night out, our private courtyard was lit with candles. Large bathroom, luxurious bed, and old/modern Italian feel. So perfect. Cathedral of Santa Maria del Fiore aka the Duomo. So incredible and MUCH larger than I imagined. Ponte Vecchio is an old stone bridge with shops and fun nightly entertainment. Vivoli for the best gelato. We also walked up to Forte di Belvedere (but it was closed). A young guy in Tuscany told us about a cool speakeasy bar in Florence which was amazingggg and they made me a super delicious mocktail that I'll never forget. The bar is on Google and so on, but they do not advertise at all, so it's really through word of mouth. If you're going to Florence, I'll tell you what it is :) but you'll have to ask. There's tons to see and do in Florence and the food is amazing. 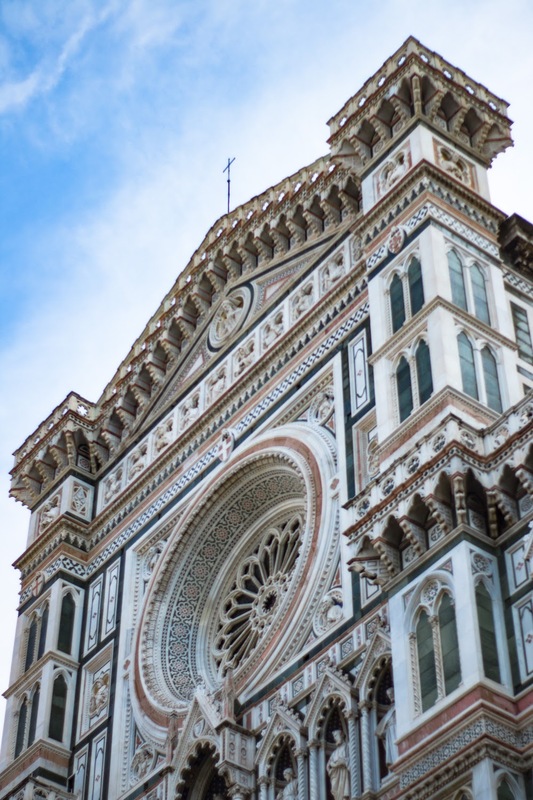 We took a day trip outside of Florence to get an eye-full of Tuscany. Oh my goodness, I could have stayed there all week! We went to Vignamaggio (a beautiful villa, winery, and accommodation) because it's where Much Ado About Nothing with Emma Thompson and Kenneth Branagh was filmed, which is one of Tom and my favorite movies. The main garden and villa were closed for construction, but we did a wine tasting and had an amazing meal there. The views and property were breathtaking and next time we are in Italy, I think we'll actually stay there! Driving through Tuscany was such a treat. Definitely give that a go! From Florence, we drove to La Spezia, parked, and took a train into Riomaggiore for the the night. Riomaggiore was charming, but honestly, it felt like such a tourist trap. The food (especially pesto!) was very good, but it seemed crowded everywhere. We enjoyed the evening once the tourists had mostly gone, but if I were to have done the trip over, I'd have skipped Cinque Terre. That's just personal preference though! It was unique, but Tom and I enjoy more isolated locales (which is probably why we loved Iceland). Also, the pretty, brightly colored buildings you often see photos of, are really quite run down and only edit brightly. They're actually extremely faded and not as amazing a sight to behold in real life! To each their own, though - go visit Cinque Terre if it floats your boat. Probably the most beautiful part of our time in Italy. 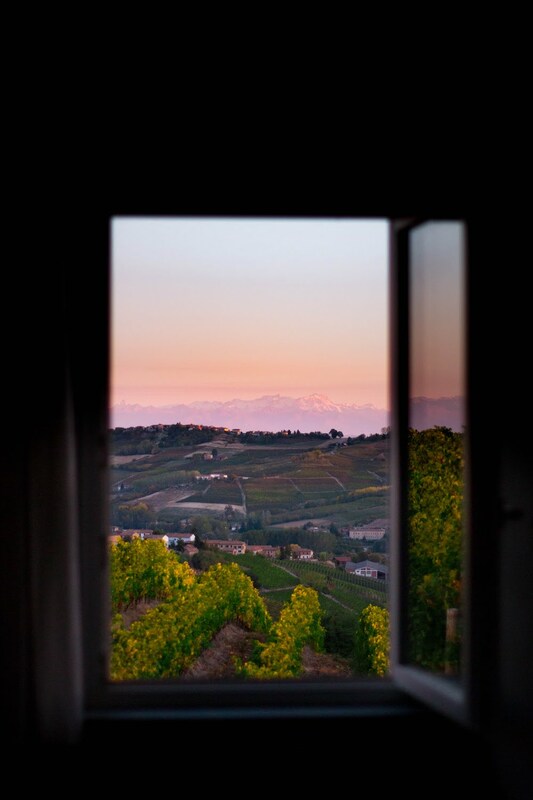 We drove up to northwest Italy because it holds our favorite wine region - Barolo and Nebbiolo grapes. On the drive up, we stopped along the coast and bought seafood right off a boat sitting in the harbor while admiring the beach. Our Airbnb was situated at the top of some breathtaking (and I mean BREATHTAKING) foothills covered in vineyards as far as the eye can see. Asti is a nearby town at the bottom of the foothills and had very few English speakers, but had delicious food and bakeries. The locals were super sweet, and locally owned stores were perfect for finding more authentic souvenirs. We were only here for an overnight, but the afternoon and evening we spent there was so memorable! Like Florence, it's incredibly walkable. The street markets were so fun to browse and it felt really clean everywhere. It just had a nice energy and pace throughout the city and we actually wished we had spent more than one night there, but we had just never thought it would be very interesting. How wrong we were! Check out the whole city and enjoy the locals and food!